Estranged couple Hrithik Roshan and Sussanne Khan set out an amazing example that there is no harm in being best friends after parting ways. The two got divorced some years ago, but their chemistry is still intact. Hrithik and Sussanne are often spotted partying with friends and going on vacations with their kids- Hrehaan and Hridhaan. Their closeness and often being spotted together only sparked rumours of a reconciliation, but Hrithik and Sussanne both made it clear that they are not coming back together. The only thing that keeps them connected are their two adorable sons. 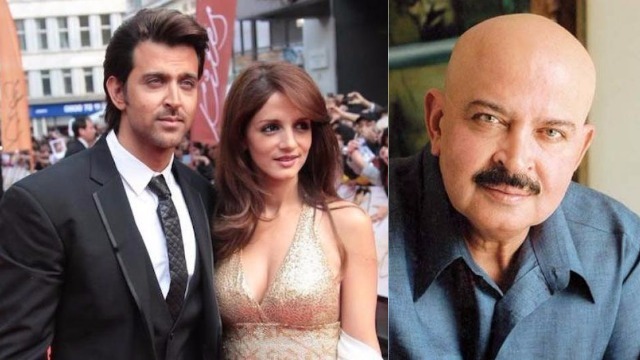 Hrithik’s father, Rakesh Roshan opened up about his son’s divorce with Sussanne Khan in an interview with Bombay Times. “Sussanne is a really nice girl and I have nothing against her. Whatever happened between Hrithik and her is their ‘kismat’. You can’t change destiny. I must say that Hrithik and she are shouldering their parenting responsibilities very well. Hrehaan and Hridaan have lunch with the entire family almost every Sunday,” the Krrish director said. Well said and we agree to the kind of parenting vibes Hrithik and Sussanne create around their adorable kids. On the work front, Hrithik Roshan is currently busy prepping for his next, Krrish 4.